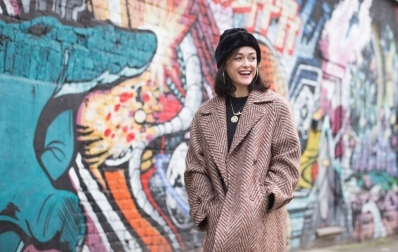 Sabrina Mahfouz was raised in London and Cairo and has recently been elected a Fellow of the Royal Society of Literature and is the recipient of the 2018 King's Alumni Arts & Culture Award for inspiring change in the industry. She was also nominated for the Inspiring Change Award at the 2018 Women in the Creative Industries Awards and her Snapchat series for C4’s Ackley Bridge won a Broadcast Digital Award. She has been shortlisted for the Arts Foundation Award for Performance Poetry and has won a Sky Arts Academy Award for Poetry and a Westminster Prize for New Playwrights. Sabrina’s theatre work includes Chef, a Fringe First Award winner; Dry Ice, for which she was nominated in The Stage Awards for Acting Excellence; With a Little Bit of Luck, which won Best Drama Production in the BBC Radio & Music Awards 2019; Clean, a Herald Angel Award winner which transferred to New York and her adaptation of Malorie Blackman’s celebrated YA novel Noughts & Crosses for Pilot Theatre tours the UK throughout 2019. She also writes for children and her play Zeraffa Giraffa (based on the book by Diane Hofmeyr) won a 2018 Off West End Award. Her poetry collection, How You Might Know Me, was a 2017 Guardian Best Summer Read. Sabrina is the editor of The Things I Would Tell You: British Muslim Women Write, a 2017 Guardian Book of the Year, a London's Big Read finalist and selected by Emma Watson for her feminist book club, Our Shared Shelf. She is currently editing a new creative anthology Smashing It: Working Class Artists on Life, Art and Making It Happen for Westbourne Press and a children's poetry anthology Poems From a Green and Blue Planet for Hachette Books. She is an essay contributor to the multi-award-winning The Good Immigrant and is currently writing a biopic of the legendary ‘Godfather of Grime’, rapper and producer Wiley, for Pulse Films. Sabrina founded and runs Great Wash Workshops, helping working class writers access UK arts funding and co-founded the Critics of Colour Collective to help ensure fairer representation in UK arts criticism. Sabrina has been the Creative in Residence at The Hospital Club; Poet in Residence at Cape Farewell; Leverhulme Playwright in Residence and Associate Artist at the Bush Theatre. She has facilitated writing workshops in prisons, schools and charities for the Royal Court, the National Theatre, The Poetry Society, the World Economic Forum, Clean Break and many others. Sabrina Mahfouz has recently been elected a Fellow of the Royal Society of Literature and is the recipient of the 2018 King's Alumni Arts & Culture Award. She has won a Sky Arts Academy Award for Poetry, a Westminster Prize for New Playwrights and a Fringe First Award for her play Chef. Her play With a Little Bit of Luck won the 2019 Best Drama Production at the BBC Radio & Music Awards. She also writes for children and her play Zeraffa Giraffa won a 2018 Off West End Award. Sabrina is the editor of The Things I Would Tell You: British Muslim Women Write, a 2017 Guardian Book of the Year and the forthcoming Smashing It: Working Class Artists on Life, Art and Making It Happen. She's an essay contributor to the multi-award-winning The Good Immigrant and is currently writing a biopic of the rapper and producer Wiley, for Pulse Films. 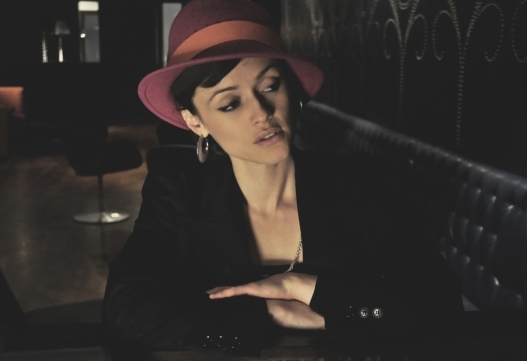 Sabrina Mahfouz is a playwright, poet, screenwriter and performer who has recently been elected a Fellow of the Royal Society of Literature and is the recipient of the 2018 King's Alumni Arts & Culture Award for inspiring change in the industry. She has won a Sky Arts Academy Award for Poetry, a Westminster Prize for New Playwrights, a BBC Radio & Music Award for Best Drama Production and a Fringe First Award.